The dress is of course perfect! I love the back neck line, really pretty detail. This dress is not frumpy at all. And you are the fabulous dress lady (note there is no crazy in your title). This dress is FANTASTIC!!! I gasped when I first saw it, and then gasped again when you said you weren’t sure about it!!! GIRL! It’s super duper and that print is to die for!!! (sorry about all the exclamations, but I totally love it) You could not be a frump in this dress at all. Even if you put on a weird gray-haired wig and put on little granny glasses and orthopedic shoes. So there! Big seal of approval from Texas. You’re right about that print being amazing, but wrong about the dress being frumpy (like at all!). Love it! Gorgeous! I love it! I don’t think it looks frumpy at all. aw 😦 that would be so cool! it really is a shame! That would be amazing! The Bens could also hang out and be chilled together! Hope you use one of your favourites too!! It’s lovely and very marimekko-esque (I’m sure that’s a word!). Yes 🙂 very true. 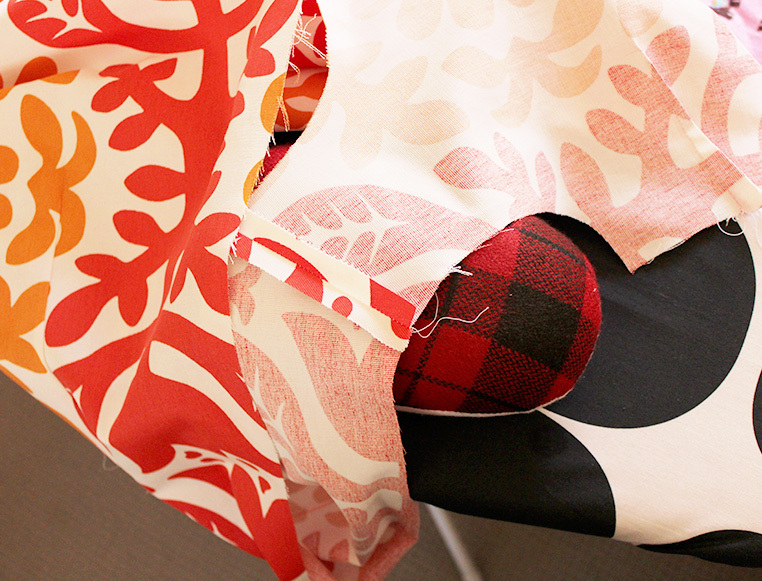 Also if you make the same alterations on the pattern then you also have a good TNT pattern to use on many projects. I haven’t commented before but I’ve been following for a while and I love your fabrics and your dresses. This one is lovely, and the print placement is great, it creates a nice effect. I don’t like the muslin process either but it does help, I usually use wearable fabric, so if in the off chance it ends up surviving it, I can wear it, hehe! Thank you, and thanks for reading and so glad you like the print placement. You have nothing to worry about m’dear! That is just a fab dress. And I remember seeing many photos of Twiggy in slightly too big dresses but still looking her adorable self. But TBH the size is fine and I can’t imagine a frumpy person in orange and red! But if the hem annoys you, that’s not to hard to pull up a little. Lovely work! haha yes orange and red is a totally non-dowdy colour combo. 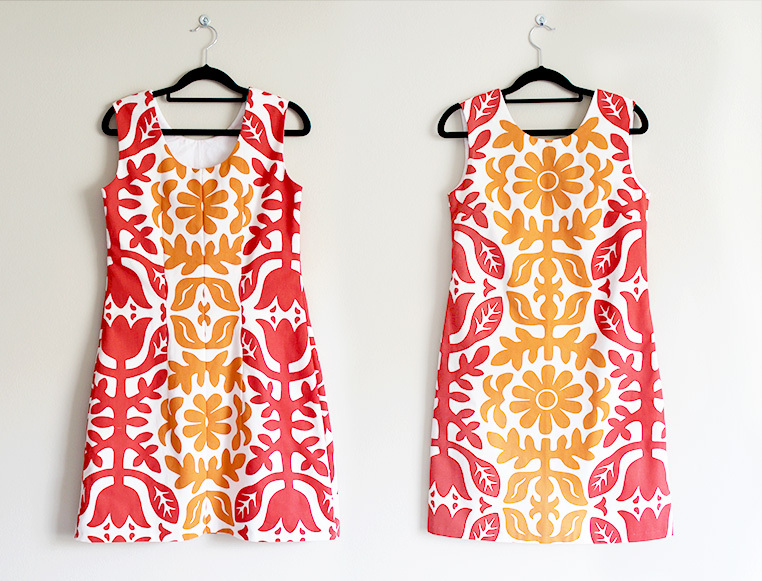 Just stumbled across your blog and I absolutely adore your shift dresses!! 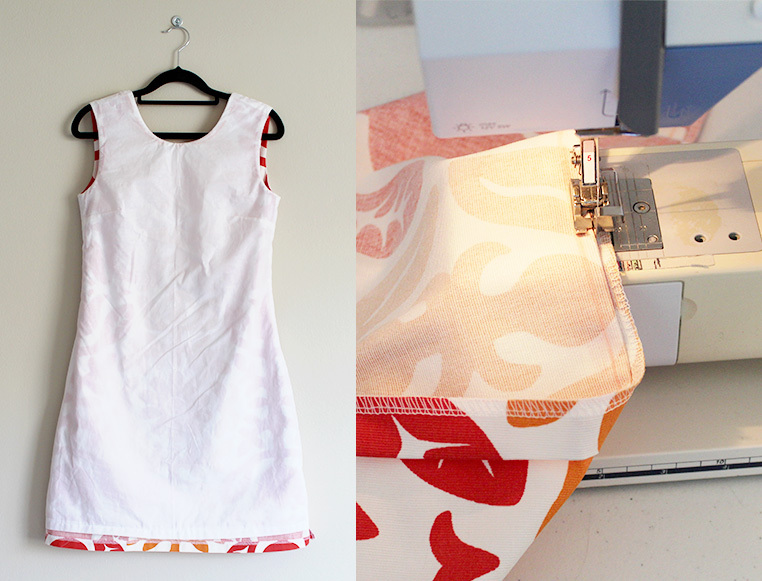 You’ve actually inspired me to get out my long neglected sewing machine and stash of fabric! Thank you!! wow, that’s great. 🙂 Happy sewing! A lot of cool without even a hint of frump! 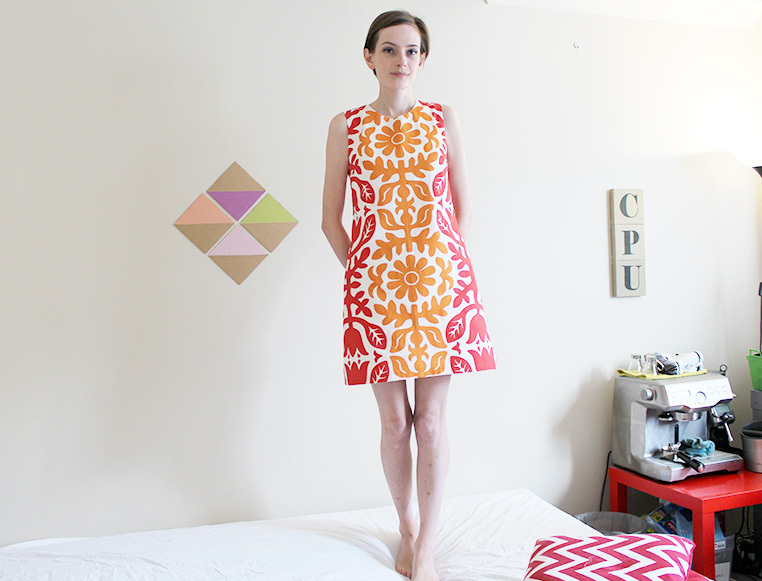 I am going to unashamedly copy you and use this pattern for my next shift dress – I just downloaded it from Burdastyle. Pattern placement is tricky but you nailed it. Get out there and rock this dress! I love this, the fabric is amazing! Thank you 🙂 I’m so glad the fabrics not hiding in my fabric pile any longer! OK. I CAN’T BELIEVE you don’t LOVE this dress! It’s a total showstopper! It doesn’t look plain at all- it’s absolutely fantastic! In fact, if I ever see it in person, I can’t guarantee I won’t grab it and run! Haha best comment ever 🙂 You are so sweet! Thanks girl!! Frump factor!? You are crazy cos there is nothing wrong with this little beauty!